It’s that time of the year again where you need to start thinking about next year. What better way to keep yourself organized than a new Planner, Right? I’ve tried my fair share of planners, different brands, digitally, online programs and apps. I keep coming back to the traditional paper & pen method planner. 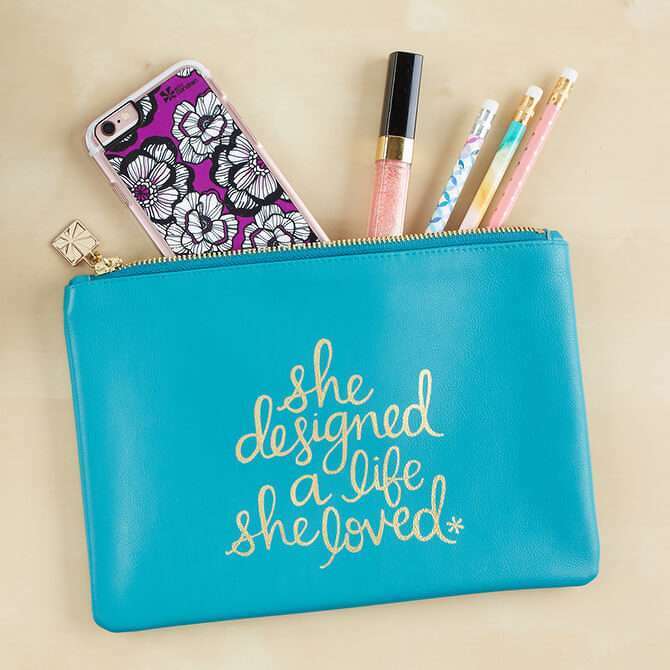 The Erin Condren Life Planner! It’s the only one the keeps me the most organized and on top of it. I just ordered my 3rd one. I’ve used this same planner for 3 years and still love it. Here’s what I love about it! The size. It’s not too big and bulky. I’m able to fit it in my purse. It’s not flimsy. It is durable and well made. The snap-in ruler. The colored tabs that separate each month and notes. I love color-coding and love that it is already done. The 2- page monthly spread. To do list for each month and week. The weekly spread. It is broken into Morning, Day, and Night with plenty of room to write, so I’m able to organize what I need to do throughout the entire day. Note section with a few sheets of lined, unlined, and graph paper. (I wish they added more lined paper. I don’t use the unlined or the graph paper.) It also comes with colored stickers to highlight events, birthdays, appointments, and blank ones to fill in. Double-sided pocket folder for storage. There is a zip lock pouch for additional storage that comes with the LifePlanner. The forget me not Perpetual Calendar & Contacts. And I love all the quotes throughout the planner. Sign up here for your $10 off coupon on your first purchase. What do you use to keep things organized? Do you use a paper and pen planner method or do you do everything digitally? ***This Post Contains Affiliate Links. By clicking on the affiliate links, you help support Thank You Honey at no additional cost to you. Thanks for your support! Erin Condren Full Bloom LifePlanner 7" x 9"
Erin Condren Colorful Confetti LifePlanner 7" x 9"
Erin Condren Marble LifePlanner 7" x 9"
Erin Condren Sparkler Metallic Coiled Notebook 7" x 9"
I am currently using the Starbucks Planner but the Erin Condren Life Planner looks like it’s a must-try for 2018. I’ve been considering trying this planner out! It looks really great – I bet it’s a good one, I hear awesome things about it! This is great, I think I’m going to try it out! 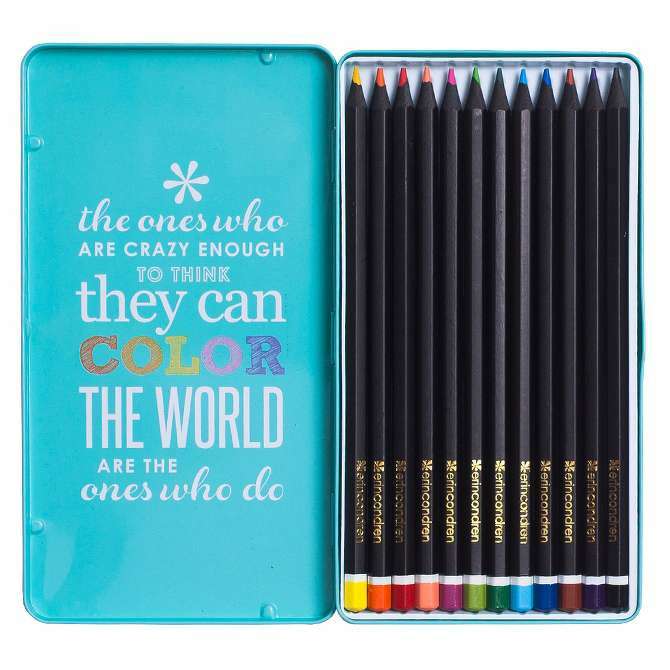 I am obsessed with planners and have heard great things about Erin Condren. Great review as I look for my new planner. A good planner is so hard to find. This one looks like it would definitely fit my needs. Thanks for sharing. wow, you’ve used it for three years?? Sounds like a great planner and I would love to get one! I really need to get a life planner. I’ve gotten somewhat organized this year but next year I’m going to do better. I missed 2 important events lately and won’t let that happen again. I’m still old school and love a paper planner and calendar. I’ve never had one of these but heard rave reviews. Maybe this yer. I love the colors and different designs. I forgot about needing a new planner for next year. I’ll check this out more. What a pretty and practical way to stay organized. I need one! I can’t live without my calendar and to-do lists. This planner sounds so cool. It would be a beautiful way to stay organized and on track with all my obligations. I use a planner / organizer to stay organized. I have to write things out and plan things so I can stay on track and keep those who rely on me to get them where they need to be when they need to be there. I just bought a big planner at Target. I am hoping to start to write things down more instead of relying on technology! What a gorgeous looking planner, I have to admit I am awful for keeping up with using a planner it is something I must get better at as when I am using it I find it so useful! I like cleaners like this because first of all their creative and colorful but also they keep me extremely organized. I have a hard time remembering to put stuff on my digital calendar but I do remember always to put stuff on my planner. I’m currently looking into new planners for the new year. I homeschool my daughter and I work from home, this seems to have it all. This looks like a fabulous planner. I might have to get one for 2018. I need to get organized with everything. Love the look of these planners. I always choose a new one every year and it lives by my side with me. Will have to check these out. I love having a paper planner, I just can’t do a digital one. I will have to look into this one when the time comes. Julia recently posted…When Did It Start For You? I miss using a paper planner. This planner looks beautiful. Quotes are one of my favorite things. Thanks for sharing. Very timely as I completely forgot that the exterminator was coming the other day even though it was in my phone calendar. I’m more of a visual person so I’m thinking this would be good for me. Thanks! Yes! I tried the scheduling on my phone but this works so much better for me. I like being able to see the big picture! Thanks for stopping by!